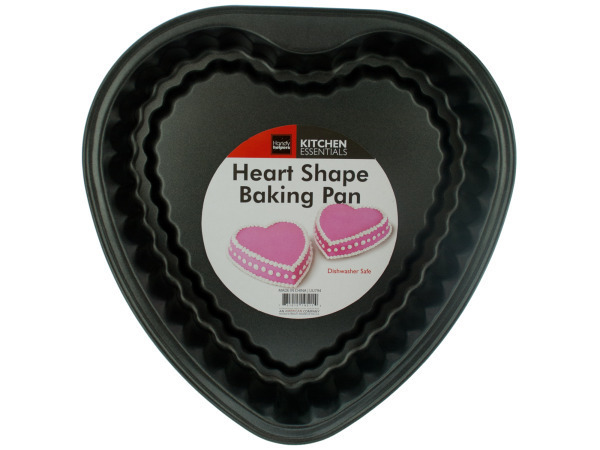 Create a sweet heart-shaped cake with this Heart Shape Baking Pan made of durable metal. Perfect for Valentine's Day, birthdays and other occasions. Scalloped edges inside the pan make a detailed, pretty heart-shaped cake. Dishwasher safe. Measures approximately 11" x 10.5" x 1.75". Comes loose.